The last time I shopped for groceries in Denver, Colorado, my bill was $108. My purchases weren’t extravagant, no prepared food nor empty calories. Discounting the cost of some face cleanser and vitamins, the provisions provided by my purchase fed me for four days. Last week in Mexico, I spent about the same amount, 1,600 pesos ($123), at one of the two Walmart grocery stores in Mazatlán, Mexico. The provisions lasted more than two weeks. Why? Price controls on food in Mexico for one thing. Another reason is the greater simplicity in your meals due to the differences in availability. Yes, it's a green onion. Price controls help a great deal. Food prices have traditionally had a political impact in Mexico. In 2008, Mexicans took to the streets to protest the rise in tortilla prices. While that statement would have made me giggle a few years ago, tortillas constitute more than half of the daily calories and protein of Mexico’s poor. As a result, the Mexican government impose price controls over a 150 basic food stuffs. Many are items you generally cook with; eggs, oil, milk, meat and sugar. According to Forbes magazine, food prices in the U.S. have skyrocketed over the last several years. While overall food prices may rise less than 5% in 2018 by conservative estimates, some sources claim it to be far higher. The highest increases in food costs are almost always on the items in the “periphery” isles. Every health-conscience menu planner knows that the outside isles are where you should be shopping the most. In fact, the dietary goal is to avoid the center isles, where the processed food is, as much as you can. We all know it costs more to eat healthy, and this is an example. Since the highest percentage figures are an average, the highest median price increases are on healthy food. Moving to Mexico has been a real relief. I never look at my grocery bill on the way to the car and think, "Really? Those four bags cost $150?" Instead, I look down and think, "That looks about right." You can expect your grocery bill to run at least 30% less, maybe even 50% less if you avoid imported goods. Be warned, although you do pay less for food in Mexico, you have to adjust your meal planning and cooking. Milk, butter, hamburger, sugar, salt, brown sugar, sour cream, cheese all taste different. Availability still compares to that of the smallest American towns. Great cheddar is what I miss the most. Cooking has been one of the more interesting experiences of my living in Mexico because of the way the differences affect cooking. In my first six months in Mexico, I prepared more inedible meals than I did in 18 years of marriage. I don't know what I'd do without Pinterest when it comes to menu planning. Some ingredients taste so strange and availability in Mexico is so different that I keep separate boards for the two countries. Every recipe that makes it to my Recipes That Translate board has been kitchen-tested in Mexico. I am running about one success for every four new dishes I publish, even knowing what I know about the flavor of things. 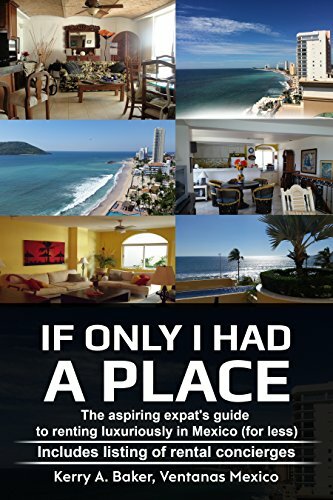 Another resource you can go to once you are in Mexico is the local English-language library section or bookstore. While I haven’t given up on my catalog of New York Times recipes, every expat community has an enterprising and restless retiree who has compiled a local cookbook. Reminiscent of the cookbooks I grew up with in rural Oklahoma which were compiled by farmers’ co-ops and civic women’s clubs, these local cookbooks capitalize on the ingredients readily available in Mexican grocery stores. While locally-compiled cookbooks are often amusing (one recipe for cookies from my "Taste of Oklahoma" cookbook for Wash Pail Cookies began with instructions to, “get out your wash pail” and made 450 cookies), locally sourced recipes can be the inevitable solution to meal planning in Mexico. You will uncover previously unexplored opportunities in low-cost items such as fresh pineapple, mangoes, avocados and limes. You never have to go hungry in Mexico. With all the money you save, you may want to entertain more. Here are some tips on entertaining in Mexico, with real Mexicans. Up Next: You must be ready to adjust to cultural differences in Mexico: You and the Canadians. Hi, I am a partner with Ventanas Mexico, which provides advice and resources to those considering explore full or part-time expat-life in Mexico. 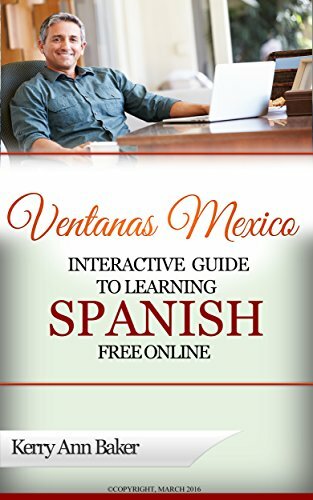 I authored "The Interactive Guide to Learning Spanish Free Online," a curation of all the best tools on the web with interactive links for learning Spanish, which changes your life as a expat. You can learn post-50. I did. These are the tools.